After reading Don Gale's Blog on stitching I decided to try it myself. I pulled out some old images from 2004 at Oxbow Bend, WY. I downloaded the trial version of Arcsoft Panorama Maker 4. Now I had tried this same sequence of photos before both in Photoshop and Canon's software without success. I popped the photos in and within seconds the image appeared. It was perfect. Flawless! Wow! I know that I shot this with too wide a lens, and although I had used a tripod, it was anything but straight. I brought it back into Lightroom and tweaked the levels. This is what I love about digital. As time goes by the software keeps improving. Not only are the images I'm shooting now effected, but so are my images from the past. Of course you don't have to use Panorama Maker just for panoramics. You can use it just to get more resolution for those extra big prints. 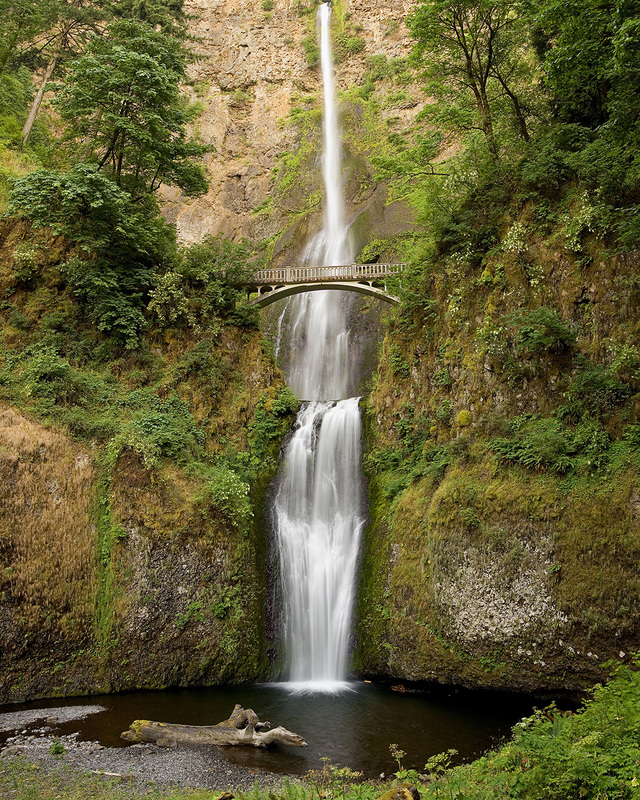 I knew I had a shot a sequence of Multnomah Falls just for this purpose. I loaded the images, changed the direction to vertical, and let 'er rip. Presto. Success at last. Arcsoft Panorama Maker is going to change the way I shoot in the field. After all these were worst case examples. I'll be shooting many more panoramics now that it's so easy.